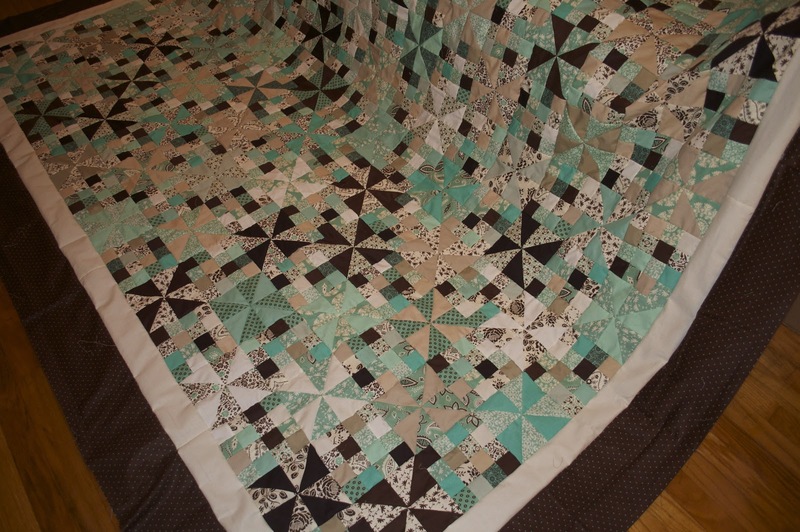 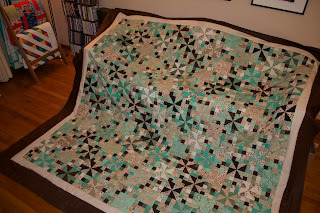 My mom found this pinwheels and patches pattern and thought it would be cute to use with my mint and chocolate fabric finds from Black Friday! 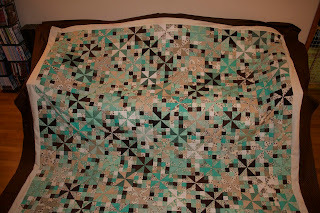 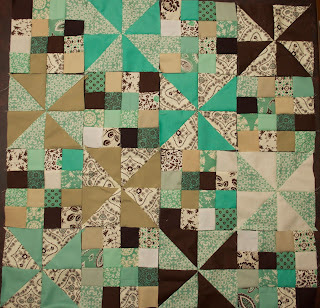 Each print is paired with various solids for the pinwheels. The patches are every other pattern-solid-pattern-solid. After putting the middle together, I added a small border and then a bigger polka dot border making it a 108x108 King quilt!